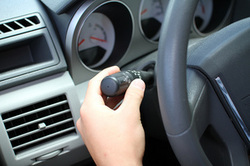 This driving course is ideal if you are under 21 a complete beginner driver or someone who has had a few driving lessons before but might be quite nervous about driving in Richmond, Barnes, East Sheen, Mortlake Roehampton, Raynes Park, Twickenham, Southfields, Wimbledon or Surrey & South West London. Or even if you already own an overseas or international driving licence and need a UK Licence or your are just a little nervous about driving in Richmond & London. Need a Driving License Quickly in the London Borough of Richmond, Surrey?